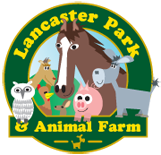 Our Petting Barn gives children (and adults) the opportunity to get up close and personal with some of our wonderful (and usually well-behaved) animals. The stars of the show include our mice, rabbits, guinea pigs and fancy rats- amongst others! The Petting Barn is always supervised by our park staff to ensure the safety of our visitors and our animals. We’re always happy to answer any questions you may have about the Park!